Method 1: Every minute or so, repeat the words `HURRY UP!’ at increasing levels of volume. After about ten minutes, and upon reaching a decibel level similar to a low flying jet, your goal will be achieved. Mind you, you and the child will be a little stressed, and regrettably, some life-long resentment generated but these are worth the price of having this child succeed in school. Method 2: Alternately you could say, quietly and in a relaxed tone of voice, “first one out of the house is the winner.” For your own safety, it’s best not to block the exit when uttering this phrase. Deeply rooted in our brains is a desire to compete and win. 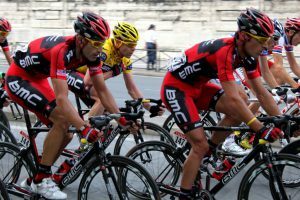 The reward centers in our brains love the chemical jolts that stem from victory. Even when we aren’t the participants, we experience competition vicariously by watching professional sports. When our team or favorite athlete wins, we raise our arms in the air as if we were the one who crossed the finish line before others or scored the winning point. When our team loses, we feel despair and wonder where we went wrong. Perhaps if we had not traded a player or hired the current coach, the outcome would have been different. For contests, an easy approach is to issue points, educational units, or credits for the successful completion of a learning event. Individuals with the most points in a given time frame win. Another approach is to reward learners who score the highest on an exam with a reward. Absorb LMS: Ranking learners based on educational units earned. Laura Marling and Jimmy Page are tied for first place with Mick Jagger just one point behind. 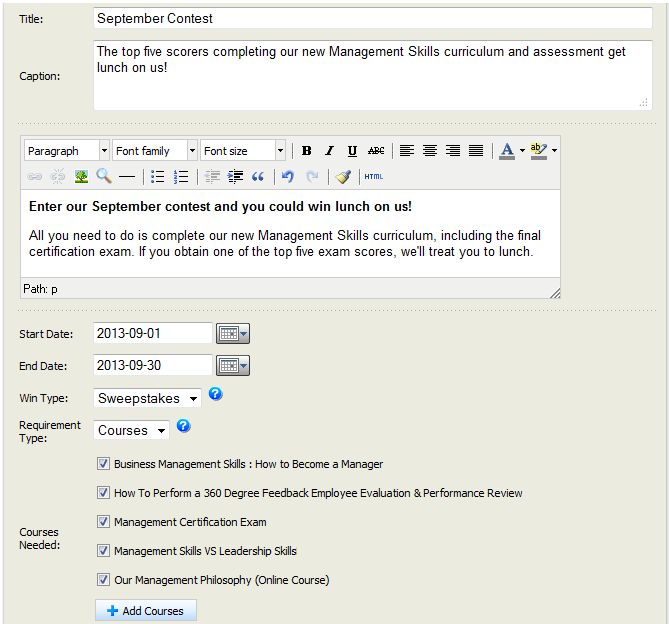 Once you’ve created the report showing ranking, you can make it available to learners on their dashboard. In conclusion, contests and rankings can be helpful in identifying achievement-driven individuals within your organization. But, we shouldn’t just focus on the top performers. 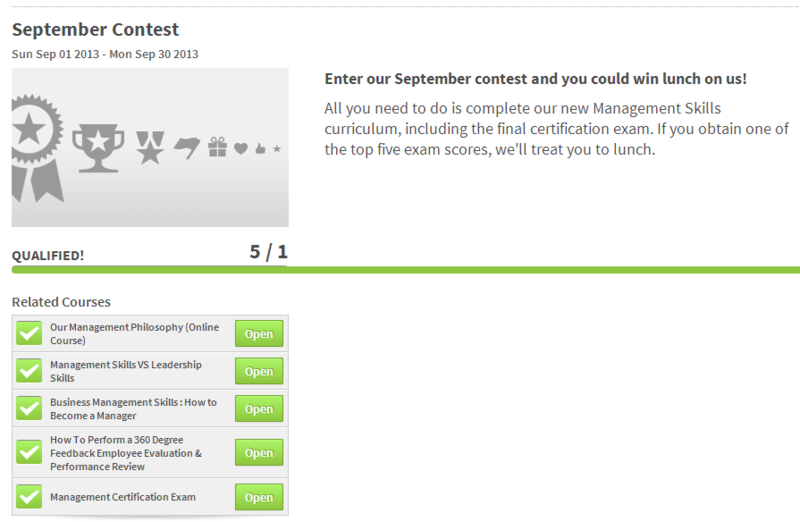 Rankings based on exam scores may also be helpful in identifying people who need extra help in specific learning areas. Supplementing their current learning with coaching may help them better perform their responsibilities.